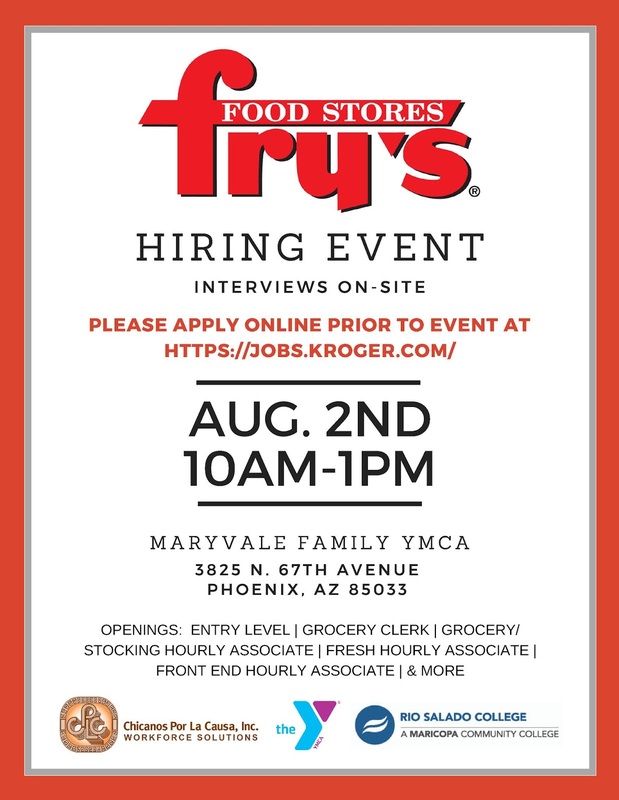 Don't forget about the Aug. 2 Fry's Food Stores hiring event at the Maryvale Family Valley of the Sun YMCA on Aug. 2. Apply in advance at jobs.kroger.com. Check out the career options and generous educational growth opportunities!